Creative coding challenges and applied examples help you see how you can put your new math and coding skills into practice. You'll write an inequality solver, plot gravity's effect on how far a bullet will travel, shuffle a deck of cards, estimate the area of a circle by throwing 100,000 "darts" at a board, explore the relationship between the Fibonacci sequence and the golden ratio, and more. 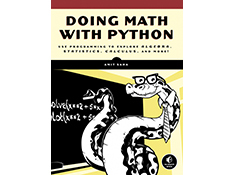 Whether you're interested in math but have yet to dip into programming or you're a teacher looking to bring programming into the classroom, you'll find that Python makes programming easy and practical. 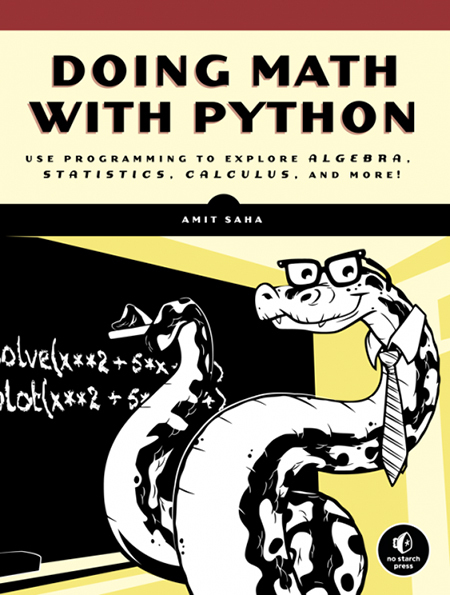 Let Python handle the grunt work while you focus on the math.